The Writer’s Center is pleased to announce that poet Caitlin Reid is the recipient of its 2014-15 Undiscovered Voices Scholarship. In this initiative, The Writer’s Center provides a one-year-long scholarship to a promising writer earning less than $25,000 annually. 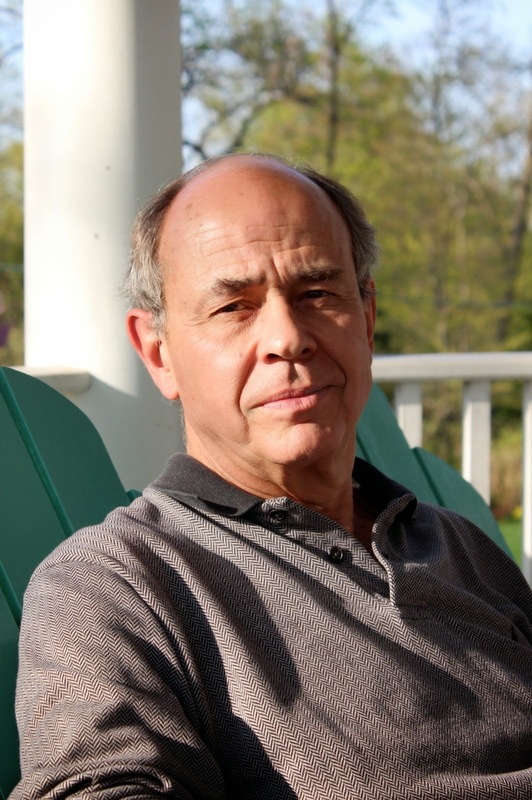 At a time when economic challenges make it difficult for many writers to pursue their literary goals, The Writer’s Center’s Undiscovered Voices program aims to provide that extra professional boost for talented writers like Reid. With her Undiscovered Voices Scholarship, Reid will receive complimentary writing workshops for a period of one year. During the course of the year, she plans to take workshops that will help her write a full-length poetry manuscript by her thirty-second birthday in May. “I have found both mentoring and community at The Writer’s Center, and I’d like to continue my education there,” Reid said. Reid’s poetry has earned scholarships to The Gettysburg Review Writer’s Conference, Wesleyan’s Conference for Writers, and a Murphy Writing Seminar in Wales. She was a finalist for the 2014 Larry Neal Award, and the Millay Colony of Arts has her on a wait-list. When I came back from East Africa last month with five notepads full of material for a new book, I started looking for a place to sit down and write, and do nothing else. I have a study at home, but it’s full of unfinished business, and in our house there’s a lot of deferred maintenance. So I trolled the internet for an office (nothing under $500/month), or a shared work space (not quite as expensive, but you have to put up with hopeful new entrepreneurs Skyping away at the desk next to you). Then I called Sunil Freeman (Assistant Director of The Writer's Center). I've known Sunil for more than twenty years. 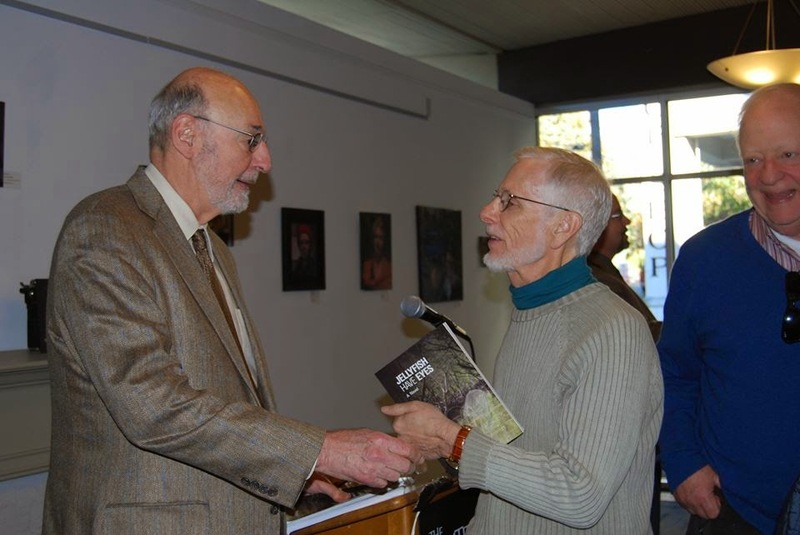 When The Writer’s Center was still on Old Georgetown Road, he and Al Lefcowitz offered computer classes to writers who were trying to make the transition from the Underwood and the fountain pen. I’m looking for a work space, I said. Any ideas? "Well," he said, "it’s funny that you mention it. While you were away in Africa, we've completely rebuilt the lower level, and turned it into a writer's studio. It’s not totally finished yet, but Stewart (Moss, Executive Director) says you’re welcome to try it out." So that’s where I’ve been these past three weeks, happily doing my 1,000 words a day. Ernest Hemingway did some of his best writing in cafes in Paris and Madrid. He preferred large, airy rooms that were not tomb-silent like a library, but places where people talk in low voices and leave you alone when they pass your table. He even wrote a story about it. He called it "A Clean, Well-Lighted Place," and that’s exactly what you'll find at the new Studio at The Writer's Center on Walsh Street. For $100 per month, Studio subscribers have access to one of eighteen writers’ carrels with a port for your computer and internet access, a lounge with a coffee maker, and locker space for a small additional fee. Rent three months in advance and pay just $250. Members of The Writer’s Center will receive a 15% discount. For more informaiton, please call us at 301-654-8664. Writing Non-Fiction and Memoir: What’s Your Appeal? In November, The Writer’s Center-Leesburg hosted Hilary Black, Senior Editor at National Geographic Books, for a fabulous session on writing and publishing engaging non-fiction and memoir at Leesburg First Friday. Black, who edited The Secret Currency of Love (William Morrow), showered audience members with advice on tailoring their writing for books, magazines, and online publications. Her experience in each of these formats evoked some pessimistic observation observations about today’s sales-based publishing culture, in which the number of Facebook followers and Internet clicks can outweigh fact-checking and good writing. But she also offered this paradoxically hopeful advice: Since even great writing might not sell well, it may be easier for an editor—an author’s in-house advocate—to make the case for publishing a first-time writer who has no sales record. Black also shared topics that interest her as a National Geographic editor and placed a special emphasis on women’s personal essay. While Black gave specific guidance for pitching proposals based on the publication format, she flagged some universal recommendations as well. Among these: Consider your particular audience. Write about subjects you care about, theses you want to prove, emotions you want to work out. Be ready to “go there”—that is, don’t skirt hard topics in memoir or fail to exhaust every source for reported works. Write colorfully and provocatively; be “universal in a non-traditional way.” And practice! Along the lines of practicing, next year’s theme for Leesburg First Friday events is ACTION. Our speakers will give attendees writing challenges, and the first 30 people who register in the new year will receive a notebook to bring to each program. We will be on hiatus in December and January. Happy holidays, and we look forward to some great revving up exercises in February! The Writer’s Center-Leesburg Committee offers events the first Friday of every month except for December, January, July, and August. Events are held at the Leesburg Town Hall, 25 W. Market St., Leesburg, VA 20176. 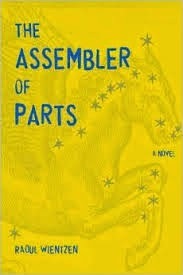 The Writer’s Center is pleased to announce that Raoul Wientzen has been awarded the McLaughlin-Esstman-Stearns First Novel Prize for his book, The Assembler of Parts (Arcade Publishing, 2013). Seventy writers applied for the award from across the country and included a diverse pool of voices from a variety of backgrounds and traditions. Each year, The Writer's Center awards $500 to the author of the best first novel published in the previous calendar year. Conceived and funded by board member Neal P. Gillen, the McLaughlin-Esstman-Stearns Prize honors three dedicated writers and members of The Writer’s Center faculty—Ann McLaughlin, Barbara Esstman, and Lynn Stearns—each of whom unselfishly nourish and inspire students and fellow writers. From the start of this extraordinary novel, eight-year-old Jess finds herself in heaven reviewing her short life. She is guided by a being she calls the Assembler of Parts, and her task, as she understands it, is to glean her life’s meaning. From birth, it was obvious that she was unlike other children: she was born without thumbs. The Assembler left out other parts too, she suffers from a syndrome of birth defects that leaves her flawed. But soon it becomes apparent that by her very imperfections she has a unique ability to draw love from—and heal—those around her, from the team of doctors who rally to her care, to the parents who come together over her, to the family friend whom she helps reconcile with an angry past. With a voice full of wisdom and humor, she tells their stories too. Yet, only when she dies suddenly and her parents are suspected of neglect, unleashing a chain of events beyond her healing, does the meaning of her life come into full focus. And only then does the Assembler’s purpose become clear. Raoul Wientzen is a pediatrician and teacher. He taught pediatrics and pediatric infectious diseases at Georgetown University for more than 30 years, and he is currently the Medical Director of The Rostropovich Foundation, a Non-Governmental Organization that promotes large-scale programs for children in the developing world. Don’t miss Karen Thompson Walker, winner of the 2013 McLaughlin-Esstman-Stearns First Novel Prize, when she reads from The Age of Miracles on November 16 at 2:00 PM. The reading will be followed by a reception and book signing. Mindy Gillian, genius of English 101.
the needed time travel, we’d figure that out later. What we wanted now was action. We were both angry and near crying. I advised her to sue hard and fast. I’d prepare the paperwork myself. for sweet Mindy Gillian’s vast intellect. Virgil together. Squeeze Sophocles dry. from the entire Maryland School System, forever. the sound of pens pirouetting the paper stage. Now I remember why I took this job. Everyone is on task, even Idrees, who I know I’ll fail. which, believe me, is a step forward. their reluctant leader. No one’s head is down. Everyone listens. They wait. They want to know who I really am. understated, respectful bowing out, and return to sleep. on Wednesday evening, last week. Shut up and stay awake. on the bedside table. Take Cornell notes. next time. Raise your hand before speaking. ask to use the bathroom during class. of certain insects: A male’s survival rate post copulation. I would see my wife poop. in minutes before our eyes. not an inch of poop. if you admit to it every time.